Words can hurt. Words can do all sorts of things to a persons mind: self doubt, low self esteem, self conscious, self hate, depression. It can change who you are and what you used to be. On the outside, Beth Winters is proper, stoic, chic, and beautiful, yet on the inside she is shy, hesitant, self conscious and deeply torn – torn from her abusive marriage – therefore, believing in herself again will take a very special man to help her find her way back. Blaine Sullivan was physically abused as a kid; stepping out of line with his father always had him end up with a busted rib or a blow to the face. He wasn’t about to let the history of his abuse change who he was – he would better himself for his son, Joey, and be the father he deserved. Furthermore, finding a woman who would love him is something Blaine thought he could never achieve – until Beth ran into him. Two abusive souls, who discover each other on one unexpected night should bring them a happily ever after – yet will they be strong enough to get past their haunted memories and move forward with one another? Marty Mayfield fell in love at the tender age of 16 to Matt Cooper. He was her world until the day he left to go into the Air Force. From many letters she had written and mailed, responses from Matt never came. Her world felt destroyed and lonely. After graduating high school she moved to Paris and lived there for 12 years. During her years of living there she met the man she thought could replace Matt. Turned out her years in Paris brought nothing but pain, loss and suffering. Making a fresh start from her wounded past she makes her way to San Diego, California where she ends up finding the one person who had always made her feel whole. Will she be able to get past her scars and give Matt her whole heart again? Will she be able to forgive him for leaving her hopeless? Denying her love for him will be a struggle, sexually and emotionally. Matt Cooper was the black sheep of his family. He wanted nothing more than to play music and live outside his father’s influence within the Air Force. Having no other choice, he took that road and left the one girl who loved him unconditionally. Regretting his decision for not writing Marty back, he continued to serve his country. Years later, after retiring, he started living his dream in San Diego, but the loneliness was always there. His heart had always been with Marty. He couldn’t get past the thought of ever living without her. Feeling like he came out of years of a coma she enters his life again. He felt his love for her immediately and more stronger than ever. Getting her to trust him again will be a battle, but he was never going to give up. He was determined to keep her in his life forever. Sandy Brooks was a single mom who was raising a young boy with High Functioning Autism. She left her home state, Seattle, Washington and moved to sunny San Diego, California to start a new life for her and her son, Joey. She was determined to make it on her own with the goal of keeping her son happy and well cared for. She may have dated a few men in her days, but wasn’t out to have a man take over her life. 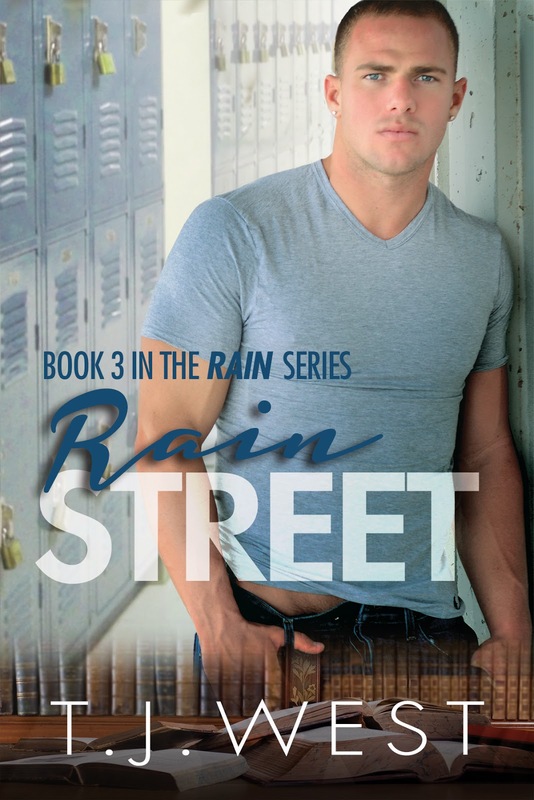 She couldn’t trust her relationships to last, because Joey’s feelings were at stake. No one would hurt him. He was her life and was the most important person in it – Until the day she met Quinn Baker – the man who would rock her world. Quinn Baker was a quiet, maddening loner. Having a past that has haunted him for 17 years he was in no shape to take over his Father’s restaurant, Reds. So much pain and anger was still implanted inside his heart, he wasn’t sure coming back to San Diego would make things better. Not feeling love or compassion for many years he never would have thought Sandy would be the one who would take over his mind, body and soul. Along with Sandy would be her son, Joey – a boy who would give him a reason to love again. nights…And I love being with my sister and family..